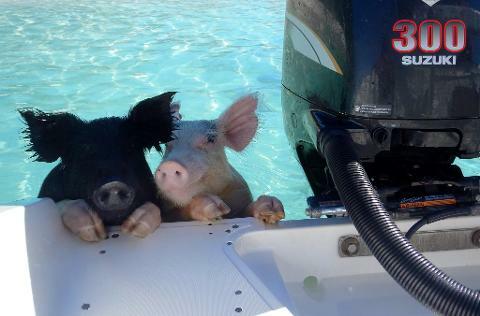 The Swimming Pigs Tour is our most popular tour! 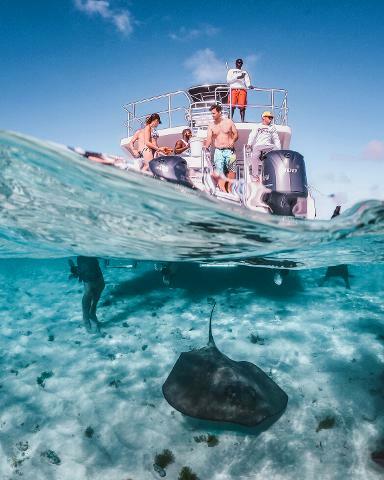 Visit the famous swimming pigs featured on our Instagram page of White Bay Cay, swim & play with wild stingrays, view the endangered Bahamian Rock Iguanas, stop at a pretty island with a unique blow hole, reef snorkeling (conditions permitting), and island hop on this exciting half day tour. Adults: $150 + tax per person. Children ages 5 - 12: $100 + tax per person. 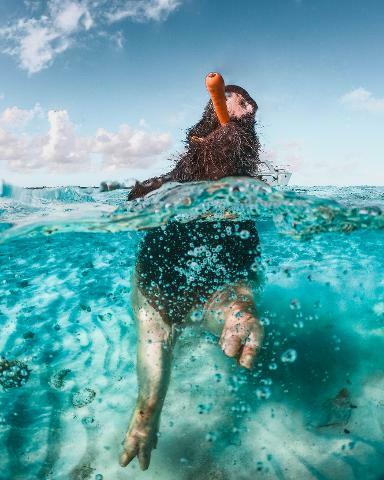 The group tour is not appropriate for smaller children, so for the safety and comfort of our guests, we require children under 5 be accommodated on private charters only. 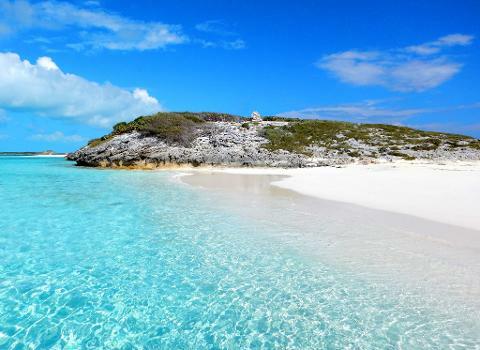 This excursion gives you a great introduction to Exuma, allows you to see the highlights, you spend a ton of time out of the boat and you still have time to spend some of the day at the pool or beach back at your hotel or villa. 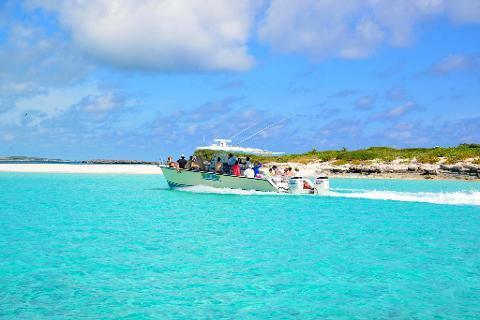 The boat utilized for this tour varies depending on the amount of guests booked. 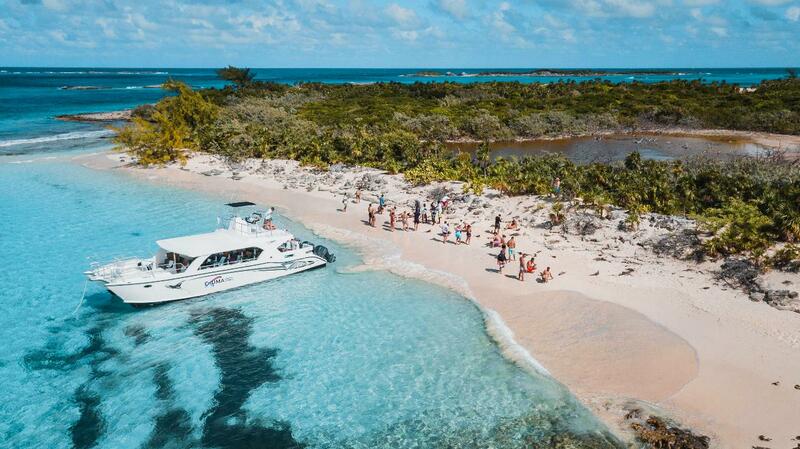 Our largest boat will accommodate groups of up to 46. Tour includes complimentary ice cold beers, bottled water and cokes/diet cokes. We require a Visa or MasterCard on file to hold the space, but your card is not charged until you are at the dock. 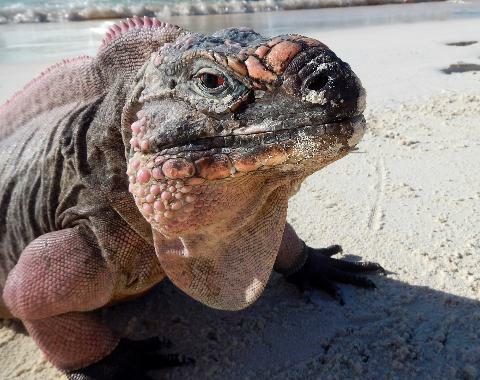 STAYING IN NASSAU/PARADISE ISLAND? CONTACT US BEFORE BOOKING! 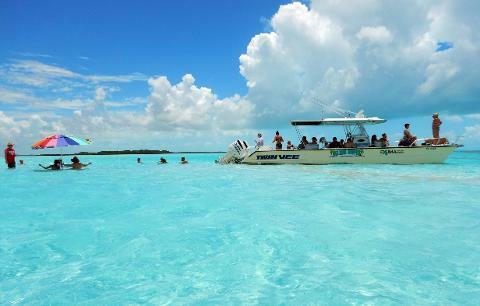 Exuma Water Sports is not associated with any airline. Guests joining a tour on a day they arrive or depart to the island are doing so at their own risk of missing their tour or their flight. 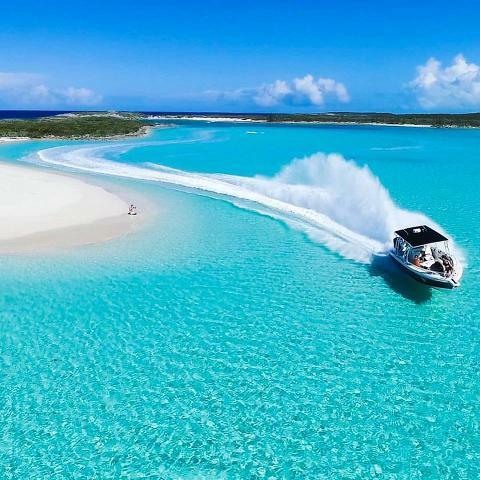 Exuma Water Sports cannot guarantee the weather and is not responsible if you arrive on the island and are we are unable to operate. We are not located near the cruise ports and are unable to accommodate guests on cruises. Your credit card will not be charged until the day of the tour, unless in the event you cancel. There is a 20% Cancellation Fee. Tours cancelled within 48 hours of the tour time are subject to a 100% fee. You may pay cash at the dock, or split the charges on separate cards. 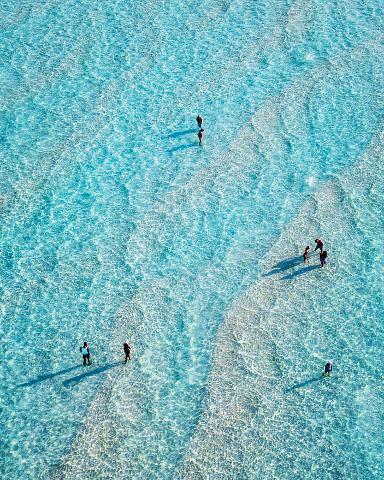 Exuma Water Sports charges in Bahamian Dollars (BSD) and is not responsible for any Currency Exchange differences or Credit Card fees at any time, including in the event of refunds. In the event the Captain determines the weather to be unsafe, we will work with you to reschedule to the next available date. If rescheduling is not possible, you will be refunded for the tour. Weather and safety calls are the sole decision of the captain.